according to their individual capacity. educating boys in the Catholic tradition. 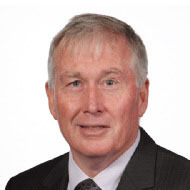 Important school updates are compiled every week in the Mazenod newsletter. Got a question? Ask us online. 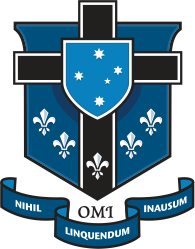 Mazenod College is one of Victoria's leading Catholic Colleges based in the South Eastern suburbs. We strive to live the values of the Oblates of Mary Immaculate and emphasise social awareness and compassion for those left out and a desire for a more just society. has a heart as big as St Paul's, as big as the world. The life of our founder, St Charles Eugene de Mazenod, was changed dramatically by a deep spiritual experience at a Good Friday ceremony in 1807. He would go on to become priest, missionary, bishop, and founder of a world wide religious community called the Missionary Oblates of Mary Immaculate. Mazenod College is committed to the pursuit of excellence in the intellectual, social, moral, spiritual and cultural development of each student according to his unique capacity. Mazenod College seeks to provide the means by which the full potential of each of its students and that of the school Community is realised.